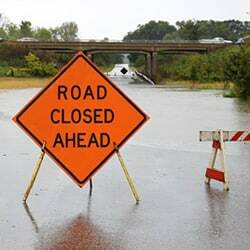 While working in the 1990’s for the Penobscot Indian Nation in Maine, Skip Lisle invented the first effective fence system to protect road culverts from beaver damming. He called his trapezoidal shaped culvert fence a Beaver Deceiver™. He shared this very effective flow device concept with others at workshops and in the scientific literature. The trapezoidal shaped culvert fence installation demonstrated in our instructional DVD is largely based on Mr. Lisle’s pioneering work. He also has contributed to the evolution of beaver dam pipe technology. Personal Note by Mike Callahan: I remain tremendously grateful for Skip’s foresight and inventiveness. I am indebted to the assistance Skip gave me in my early years, and I enjoyed our collaborations. He continues to passionately advocate for beavers and wetlands and inspire others. In May 1999 I met Michel LeClair at a Beaver Conference sponsored by Beaver, Wetlands, and Wildlife. That summer Michel was gracious enough to show my wife Ruth and I over 100 flow device sites in Gatineau Park, Ontario where he had installed his own innovative pond leveler pipes and culvert protective fences. His impressive body of work, pioneering pond leveler pipe design, and invaluable lessons, inspires us to this day. The Flexible Pond Leveler™ was based primarily on his innovative pond leveler design. We are all beneficiaries of his pioneering beaver management work. In 1994 several Clemson University Cooperative Extension Service researchers (Dr. Gene W. Wood, Mr. Larry A. Woodward, and Dr. Greg Yarrow) published the first research paper on a beaver dam pipe system with a high success rate, which they called the Clemson Pond Leveler. 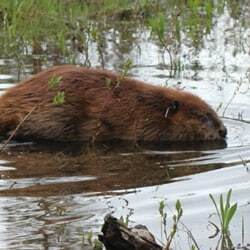 They scientifically demonstrated that this novel PVC pipe system could prevent beavers from detecting the flow of water into a beaver dam pipe and thus prevent beavers from plugging it. This discovery was a crucial step in the development of other more efficient beaver dam pipe designs, including the Flexible Pond Leveler™. In 1985 Owen and Sharon founded the nonprofit “Beavers: Wetlands and Wildlife” in upstate New York. For over 30 years these two passionate beaver advocates have helped educate and resolve beaver conflicts non-lethally. They organized a large beaver conference in 1999 which greatly assisted me in my early years of beaver management. Their website (www.beaversww.org) and their newsletter Beaversprite are a wealth of information. They continue to assist, educate and inspire me and countless others to this day. We are all indebted to their work. In 1985 Sherri Tippie founded Wildlife 2000, a Colorado volunteer nonprofit organization. The purpose of Wildlife 2000 is to live trap beaver families in unsuitable locations and relocate them to new, optimal environments. Sherri is Colorado’s lone licensed live trapper and relocator of beavers, having relocated hundreds of beaver families to more suitable habitat. She is a self-described “Beaver Believer” and her work and inspiring evangelical-like presentations have helped many others become “Beaver Believers” also. In 2008 Heidi Perryman Ph.D., a child psychologist by day, founded the nonprofit organization “Worth A Dam” in Martinez, CA. This organization grew from her effort to force the city to coexist with beavers. Her tenacity paid off and the beavers were saved. Her passion for beavers and continued tireless advocacy for beavers resulted in her blog and website (www.martinezbeavers.org) becoming a clearinghouse for beaver information and a conduit through which many people with interests and expertise in beavers across North America and Europe were able to connect. As President of Worth A Dam she also spearheads the very successful annual Martinez Beaver Festival.